This beautiful wreath is a lovely addition to any home around Thanksgiving. It has nostalgic, vintage inspired images with turkeys and children carving pumpkins. There are glittery accents and the words "Happy Thanksgiving". This is a wonderful choice for Thanksgiving, but please take a look at similar wreaths for other seasons. 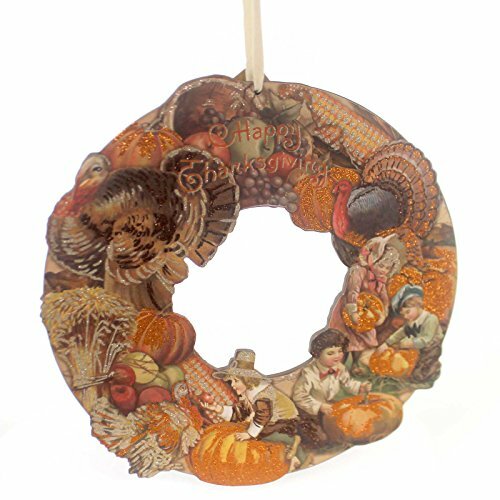 Made by Primitives by Kathy, this wreath is 14" across and hangs up using the cream ribbon included.